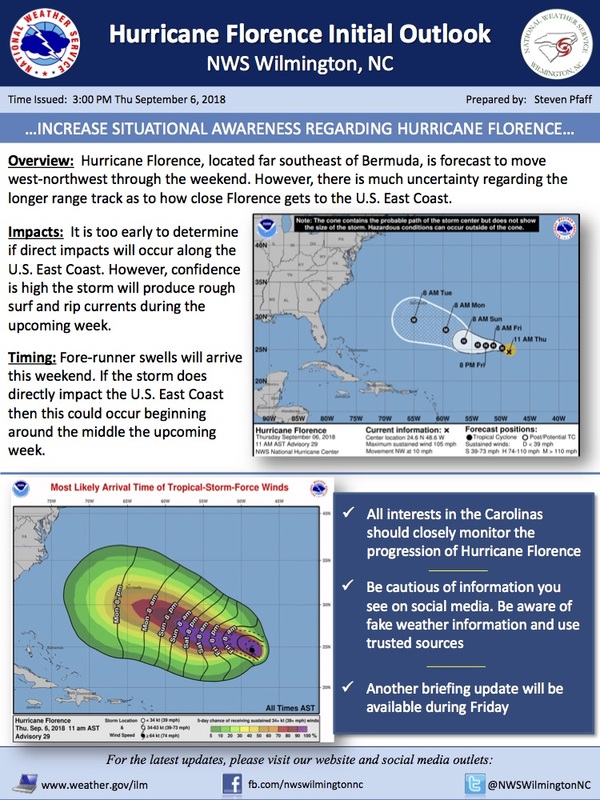 The National Weather Service is encouraging residents of North Carolina and South Carolina to keep a watchful eye on Hurricane Florence. Steven Pfaff, a meteorologist with the National Weather Service in Wilmington, said rough surf and rip currents will develop this weekend. “It is way too early to discuss specific impacts given the track uncertainty next week,” said Pfaff.